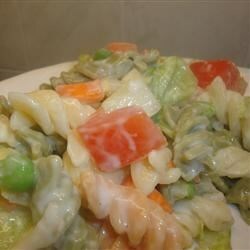 "This is a pasta salad with lots of vegetables and it is easy to prepare." My family loves this recipe. Add some salt and pepper and I use frozen peas instead of canned.